This accessible introduction to animal behaviour provides an authoritative yet reader-friendly guide for the interested naturalist. It presents current knowledge about the way animals behave and will enable the reader to derive more pleasure from their observations of animals by gaining a deeper understanding of their behaviour. The concepts are presented in an easily appreciated way with which everyone can associate. In the first part of the book, the author explores how animals behave by considering the physical processes involved in the way animals perceive their environment and what determines how they respond to it. 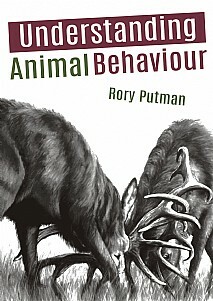 This is followed by the 'why' of animal behaviour in which the author examines many topics under the overall issue of expressing behaviour, and the evolutionary forces that have shaped – and continue to shape – the detailed form of more complex behaviours. Therefore questions such as why animals forage in the way they do and how that foraging pattern may be refined to optimal efficiency; why animals adopt a particular reproductive strategy and breeding behaviour and why some animals live as solitary individuals, while others live in groups and so on. The book is copiously illustrated throughout in support and interpretation of the text. While the pictures enhance understanding of the written text, the text also showcases the exquisite illustrations of wildlife artist Catherine Putman. Part 1: Mechanisms of animal behaviour – Understanding animal behaviour. Reflex behaviours. Linking responses and the coordination of more complex behaviours. Receiving stimuli and analysing the incoming information. Motivation and its capacity to modify simple response patterns. Learning and its effects in modifying behaviour. ‘Unpredictable’ behaviours: redirected behaviour and displacement activities. Behaviour genetics and the evolution of behaviour. This will be of particular appeal to everyone with an interest in animal behaviour and all naturalists.